Have you ever opened an invitation to see a semi-formal dress code and felt confused? You’re not alone. When confronted with this ambiguous type of attire, many of us feel more than a little intimated. It’s understandable, too. After all, striking the perfect balance between formal and informal can be seriously tricky, especially in modern times. Luckily, you no longer have to go in alone. 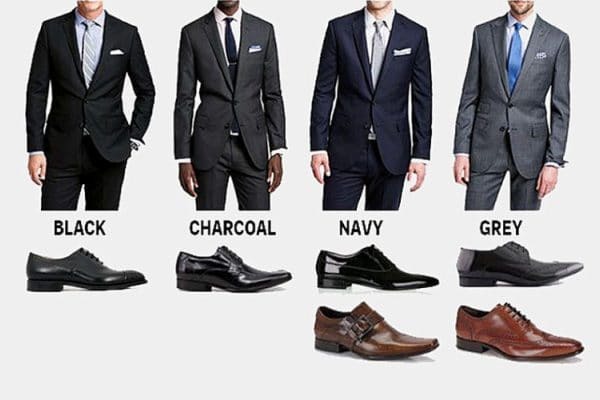 So, stop wondering whether or not you need to wear a suit or require a tie because we have the answers. 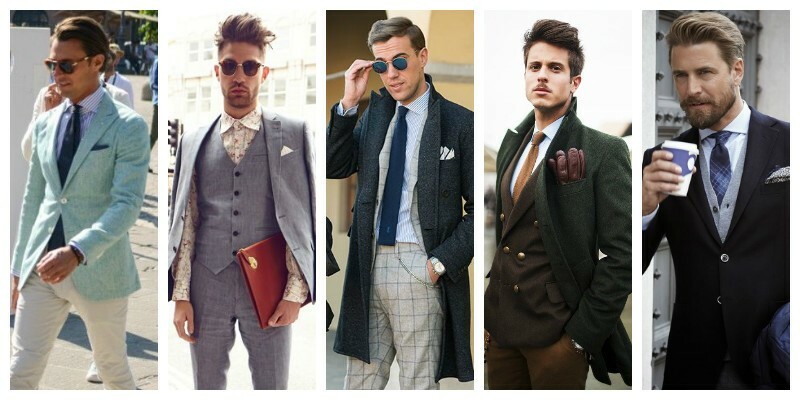 Now, all you need to do is follow men’s guide on how to wear semi formal attire in style. Semi-formal attire is a dress code that denotes a smart style. Often chosen for evening events and weddings, semi-formal dress codes require you to dress in a sophisticated manner. That being said, the dress code is slightly more relaxed than formal attire, such as black tie. As such, it can be a somewhat flexible and ambiguous code, and knowing what to wear for it can be a challenge. Luckily, we’re here to help you nail this tricky dress code with helpful tips and inspiring outfit ideas. As mentioned, there is a significant difference between the semi-formal and formal dress codes. 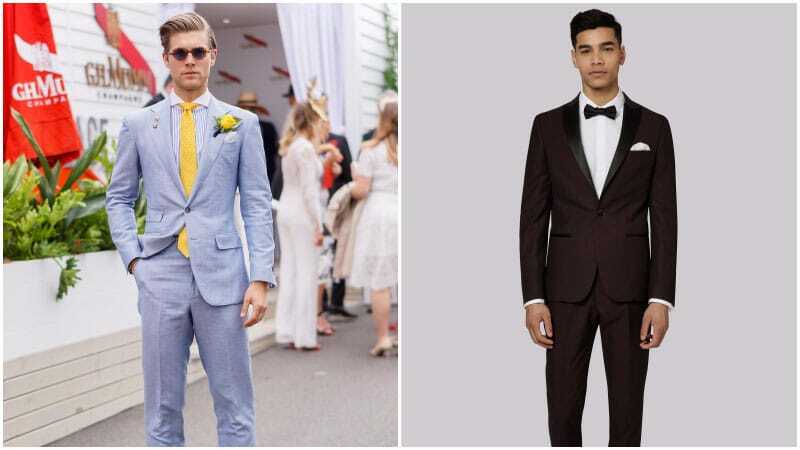 While formal styles of dress, such as black tie and white tie, require a high standard of dress, semi-formal attire can be somewhat more relaxed. So, while a tuxedo is often appropriate for formal events, a suit and tie are typically a better choice for semi-formal occasions. As such, it’s imperative that you thoroughly read invitations to ensure you are correctly dressed. When dressing for a semi-formal event, a suit can be an easy option. All you need to do is select the right style. 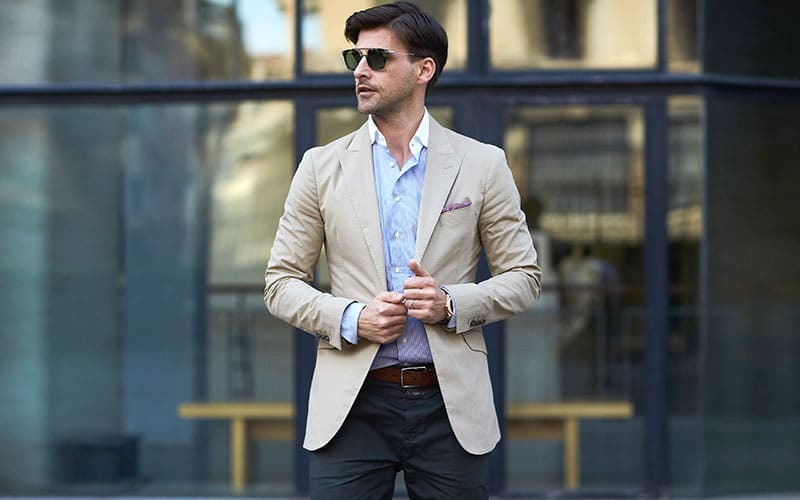 If you’re heading to a daytime event, consider a suit in a light colour like beige. If you’re off to a night-time function, on the other hand, a darker shade, such as navy, may be a better option. However, try to steer clear of classic black as it can often appear overly formal and definitely don’t don a tuxedo. Once you’ve got your suit set, just pick a shirt to match and add accessories. A tie is optional. Today, a semi-formal look doesn’t always require a suit. So, if you’re a little over your regular two-piece, consider opting for a pair of pants and a blazer instead. When choosing pants for a semi-formal function, opt for tailored trousers or sleek chinos to ensure an appropriately polished appearance. Also, be sure to consider the colour. Along with picking a hue that will flatter the rest of your look, you also want to make sure that it’s smart enough for the dress code. So, consider neutral and classic colours like black, navy, white, grey or beige. 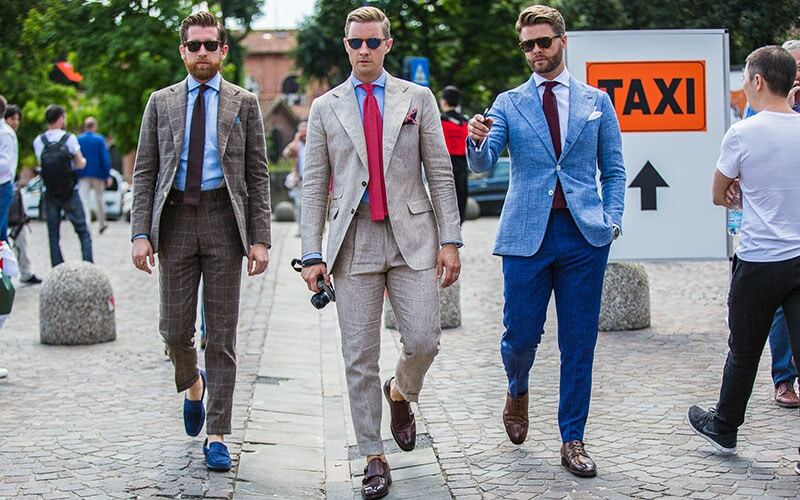 If you’ve chosen to don pants and a blazer instead of a suit, it’s important to keep things classic and sharp. To do so, opt for a well-fitted tailored style in high-quality fabric. When it comes to colour, try sticking to classic hues, such as navy, beige, stone or grey, to maintain an elegant aesthetic. 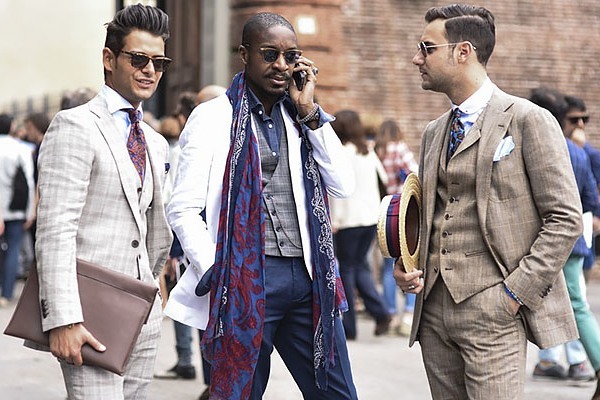 Also, as pants and a blazer can appear more casual than a traditional suit, consider completing your outfit with a tie and other dapper accessories. When it comes to shirts, a classic, white button-up is always appropriate, especially if you’re not wearing a tie. But, don’t be afraid to spice things up a little for a semi-formal ensemble. As long as you’re wearing a smart suit, you can be quite playful with your shirt choice. So, feel free to opt for coloured styles and patterned designs. However, be sure to select a dress shirt in a quality fabric that fits you well. 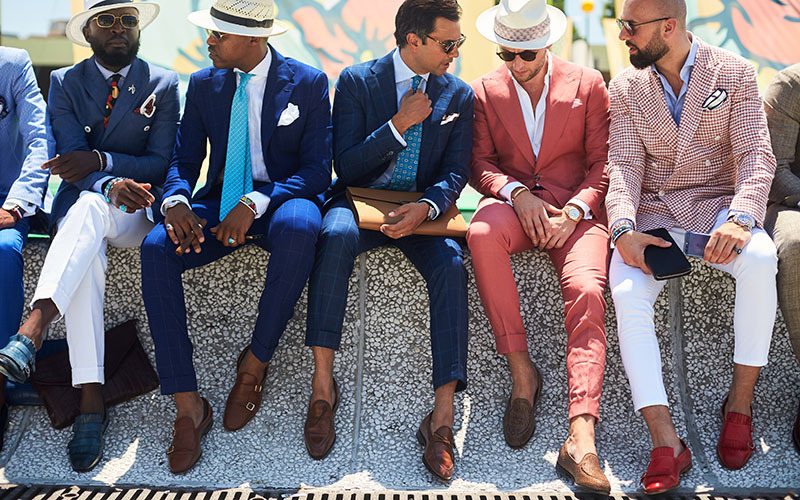 Footwear is an essential part of every outfit, and choosing the right pair is integral to nailing any dress code. As such, it’s important to select the perfect shoes to complete your semi-formal look. To do so, stick to dress shoes that appear smart and stylish. For instance, derby shoes or Oxfords will add a sharp and classical touch to your look. 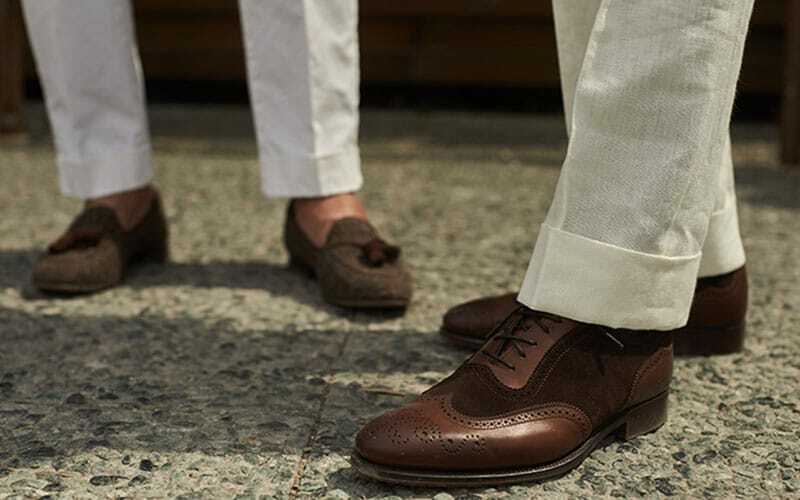 Brogues, monk straps and loafers, on the other hand, will inject a relaxed elegance. 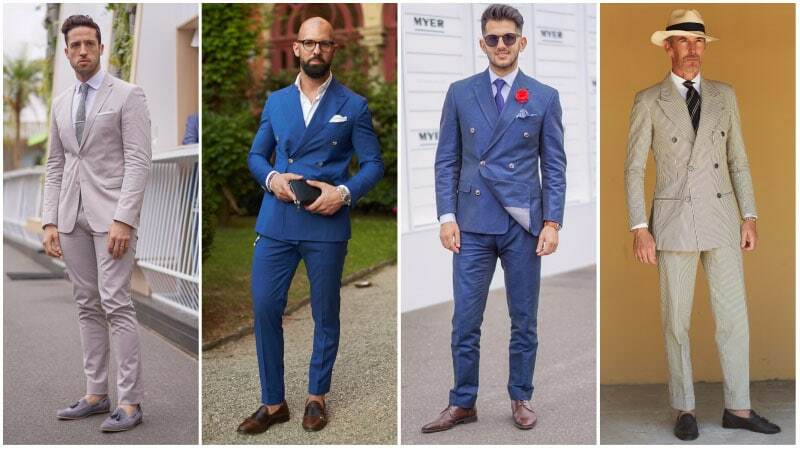 Phenomenal suiting and appropriate tailoring will do wonders for semi-formal looks. Opt for neutrals and dusty powder hues for day looks which can be adapted well to different accompanying pieces and select darker suiting for night events. 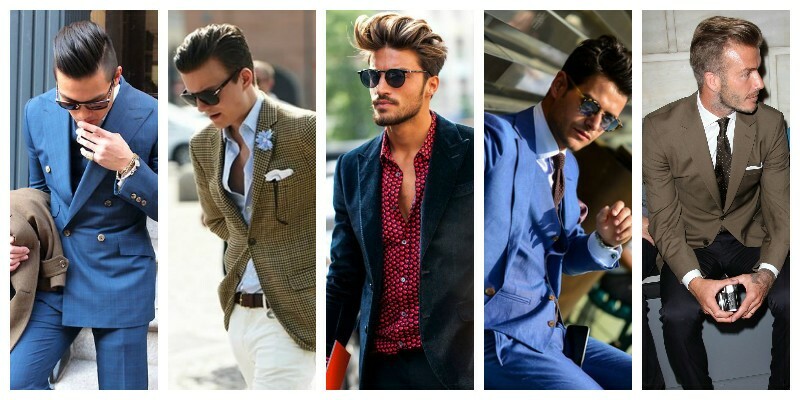 Blazers in classic colours are fantastic starting points for semi-formal looks and can be enhanced by pops of colour and unexpected accessory choices. Keep trousers fitted and opt for more dimensional shirts to layer for a refined aesthetic. Despite its somewhat superficial connotations, shoe contact before eye contact is how things typically go in a modern context. Taste in shoes speaks volumes about personal style and despite sounding clichéd, will make or break your semi-formal looks. A great pair of loafers, brogues or Oxfords will elevate your appearance, but as with all menswear, the devil is in the detail. Go for suedes, velvets and patent leathers to amplify looks in a manner which is subtle but vividly effective. Round toe shoes are universally flattering, but ensure they are a slender style that won’t corrupt your streamline aesthetics. 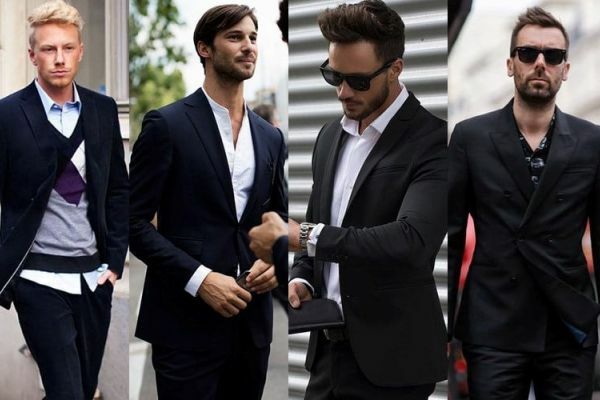 Looks without ties are relaxed and work incredibly well for more open dress codes, in particular for semi-formal attire. 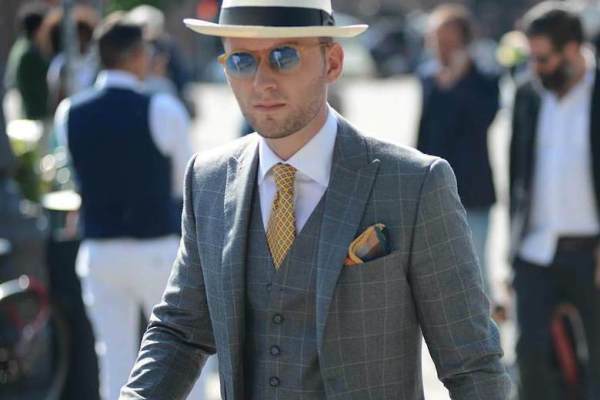 Remember, it is the way you style your overall look which will give it a formal appeal, and not necessarily the fact that you are wearing a tie. Preserve a fitted silhouette when executing looks and attempt trends classically to ensure a perennially stylish essence to your ensembles. Ties can be used to enhance looks, but do so with caution. Textured ties, like crochet styles, are fantastic for a modern attempt at accessorizing without looking too formalistic or corporate. Ensure they are youthful with subtle incorporation of patterns and colors. Understand what kind of event you are going to. 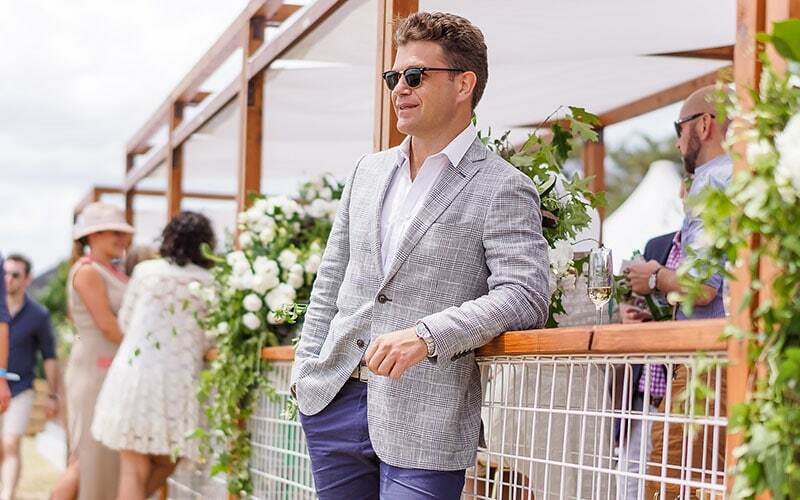 Day events tend not to call for overly formal attire, so keep things relatively laidback, incorporating well-fitted cotton blazers and more textured shirts for effortless looks. Semi-formal night looks call for a more sophisticated appearance but don’t be afraid to experiment with different fabrics. Night events also call for deeper, darker suiting as well as more dusky toned accessories. Harness these colour palettes for fail-safe day and night semi-formal looks. With semi-formal looks, personal touches are your best bet for expressing your individual style while maintaining a formal and classic aesthetic. Pocket squares and watches will annotate blazers with a subtle dimension. Don’t forget to pay attention to smaller details like belts buckles. Last but not least, your grooming should also be perfect at all times. If you are attending a semi-formal wedding, it’s important to acknowledge the style and time of the wedding. These details, such as whether the wedding is outside during the day or an evening cocktail event, will help you to dress for the occasion correctly. For less formal weddings and those that occur during the day, a light suit, such as one in beige, paired with a simple button-up and a coloured tie or pocket square makes an excellent option. For more formal weddings, stick to a traditionally dark suit paired with a light dress shirt and sophisticated accessories. Select a suit and ensure that it is expertly tailored and well-fitted to your proportions. Choose a dark suit for semi-formal evening events and a neutral or light suit for daytime semi-formal functions. 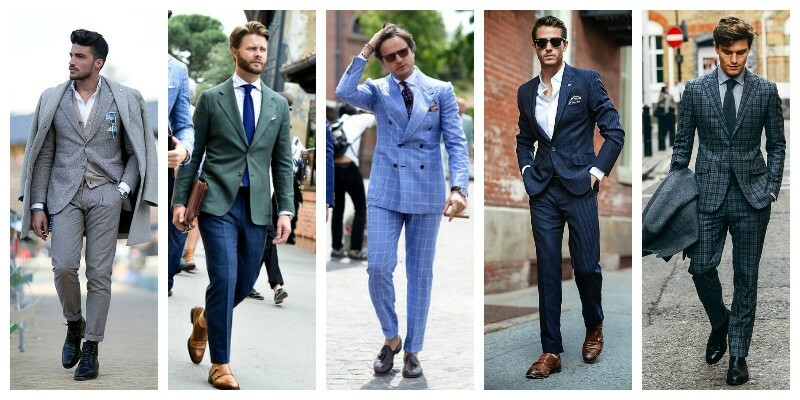 Add a polished touch to your look with a smart pair of dress shoes, such as brogues, loafers or oxfords. Select whether to wear a tie based on how formal your outfit appears with/without it and whether or not a tie is required to help your outfit meet semi-formal standards. Express your individuality with personal touches and unique accessories.